Quite unexpectedly, in the beginning of the year 2014 the next part of compilation NOVA NATURA was released, which is the flagship position in the achievements of Cosmicleaf Records. It was unexpected, because there wasn’t any grand announcement of the next part of this compilation, and first it appeared in an electronic version, then as a full album. Also a kind of surprise is the same appearance of the fourth part on the music market, because of the fact that the former was released seven years ago! Definitely, among the news that you can catch right away, is the fact that Zero Cult is responsible for this compilation, not Side Liner, who so far was responsible for the three previous parts. Returning to the previous parts of NOVA NATURA, we can only guess and outline the style, in which the new compilation could be maintained. This task seems to be quite complicated, because firstly, it is difficult to come seven years back and remember how our souls were soothed by the third part of the compilation, and it is even harder to recall, what happened in the first and second part. In my opinion, NOVA NATURA VOL. 4 was composed quite chaotic by Emil (Zero Cult), because there is no continuity preserved in what is happening on the disc. Some fast tracks are interspersed with calm and melancholic productions, and in addition to that we have here a large dose of vibrating, psychill tracks. Certainly, in this compilation it is worth mentioning such productions as: J.P. Illusion with Waveform, or a great track of Cydelix – MYSTAGOGIA. Here we can also find some pretty gloomy and boring tracks, which have nothing in common with a blissful laziness and deep relaxation. 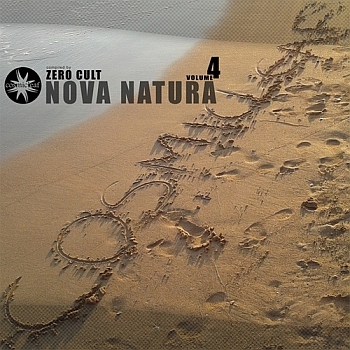 NOVA NATURA in its fourth installment is primarily a downtempo mix of styles with a lot of different influences, starting from psychill and ending with a typical, English trip-hop. Seven years of waiting – was it worth it? If I had to specially look forward to it, I would be disappointed, but the fact that the compilation appeared so suddenly, makes my feelings quite different. It is a really pleasant and nice feeling to listen to this compilation, but not in such a way that I could remember it for a long time and return to it often. Anyway, all who haven’t had the opportunity to listen to it, should try.